How long will it take the guy (the narcissist) to miss you if there’s no contact? People people, work with me here!! The point of No Contact is not to make the narcissist crazy with longing for you – remember he’s crazy to begin with! This isn’t some sort of game we’re playing. The purpose of No Contact is to give you, the victim relief, space, a time to heal, because you need to get as far away from the narcissist as possible. To be fair, there are females who are narcissists, substitute the appropriate pronoun. No Contact gives you your sanity back. Give No Contact some time and the “N Fog” will clear. You will wonder why you stayed in a “relationship” with him as long as you did. You’ve been severely abused by a narcissist. In my humble opinion, all n’s are psychopaths – they may not live with their mother (her dead body in a room upstairs) run a hotel and come into guest’s rooms with a butcher knife – but they are still, psychos! Do you get it? I think many of us are lucky to be alive. No exaggeration. Why in the name of all that is holy, do you want this gutter snipe to miss you! He is not what you thought he was, he is false. Nothing that he presented to you was true, all those lovely qualities that so entranced you in the beginning – those were all the attributes that he absorbed from worthwhile human beings and he isn’t one of them! Human or lovely. Some of those qualities that you saw in him that you thought were so special? They were – no doubt your own qualities that he was mirroring back to you. and in doing so thought that it would give him something to think about — that it would make him wake up and change his behavior to come groveling back to you – Think again! If the N discarded you – (how many times does this make?) his reaction was the same. Try to grasp this concept, however sick and twisted – The. Narcissist. Doesn’t. Care. He/She – Does. NOT. Miss. You! How long will it take the Narcissist to miss ? The narcisssist is NEVER going to miss you! I’ve brought this post forward from 2009 for a time to make the info a bit more accessible….. This afternoon, a friend brought me the mail from my box. At the bottom of the stack was an envelope addressed to the N.
Now if my life were a movie, this would be the moment in the film where the orchestra music would swell with a tense portion of the score…..the strings, the woodwinds, the trumpets, the English horns….the harps….Hey! This is my horror movie….I want a full orchestra. But it’s not a movie. It’s just my boring life, (my life that had an N in it for a while.) I can visualize a guy with an axe running across the screen from stage left….cue the screams. Three years ago, my obsessive thought…the only thing I would have be able to do….the compulsive desire…would have been to return the envelope to his mailbox. Worse yet. Deliver it to him in person. Big mistake. Huge. And I would have felt a constant aching, gaping void. I felt nothing. I sat at my desk. In my office. For once it was peacefully quiet…and thought nothing about this piece of correspondence. When I check my blog, sometimes I will look at the Search Engine Terms that people use to find me. My friend taught me this trick. When the “Writing Muse” is evasive, I read through the terms and sometimes I get “inspiration”. There is a phrase that continues to come up in terms that really tugs at my heart. It brings back painful memories – like a wave of grief washing over me. I feel raw writing about that period of time, after The N…but if people are using this term as a search, then I need to share what I’ve learned. 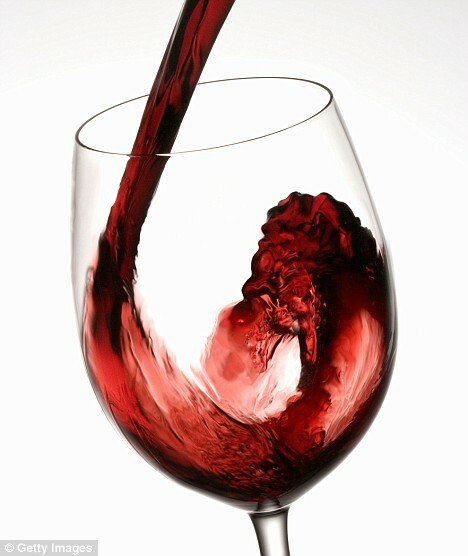 But first I need a glass of wine….talk amongst yourselves for a moment…. This terminology was the perfect description for a man who pretended to be my friend. When the friendship was over after the “last” D & D…during the next four months that I beat myself up…blaming myself for the loss of a friendship that never really was…. When I discovered there was something called Narcissistic Personality Disorder, and that ‘my friend’ the N, had 18 of the 20 characteristics…. (actually he probably had all 20.) I still foolishly thought that the N could be fixed. Okay, enough of the bed linens analogy. Hope it helps you understand. After months of reading…actually it took closer to a year, for me to be able to wrap my mind around the fact that ‘my friend’ was not what he presented himself to be. He wasn’t Pretend Guy. Pretend Guy didn’t exist…he never had. Coming to terms with that made me feel like I was in some weird Twilight Zone movie marathon, and that Rod Sterling was going to walk out from behind the drapes. Even knowing all that. it still didn’t stop me from missing Pretend Guy. Everything that my ‘friend’ the N had portrayed himself to be was false. Pretend Guy was like an imaginary friend…(but not like the one in Sundays at Tiffany’s.) The person that I thought was my friend, didn’t exist….but the alien who created the illusion did. The alien was Real – Actual Guy; he was real ugly & really nasty. When the N dropped his mask after D & D’s, too numerous to count, it was truly rare for me to see Pretend Guy. If I was unfortunate enough to witness a performance of Pretend Guy, his ‘warmth and caring’ was always directed to some other person. When I would witness this charade, every fiber in my being wanted to scream out…I wanted to shake the receiver of his kindness. “Don’t you see? He is not the professional, charming, kind, human being you think he is! He’s not even human!” Watching these scenes made me nauseated. While I was recovering from the loss, not a day went by that I didn’t miss Pretend Guy. Some days were worse than others. I would stay busy, but inevitably, a quiet moment of the day would come. Sometimes the memory would sneak up on me. Perhaps it was the time of day that was sometimes spent in the company of the N. Whatever the reason, the pain would come to me fresh and raw. I learned to accept it; you could almost say that I embraced it. At least feeling the pain let me know I was still breathing. I was still alive. Unlike the N, I was human and capable of feeling loss. I would often talk about him to my close friends like he was dead because well, he was. I gave myself permission to grieve Pretend Guy. I would tell some of the funny stories he had told me…who knows if they were lies or the truth. I would use some of his phrases when talking to those who knew of his ‘demise’. For all intensive purposes, it was like having a memorial service for Pretend Guy. I wish I could present you with an easy step by step guide for getting over the phase of “Missing Pretend Guy”. I don’t have a book to sell you. Unfortunately, I don’t think there is an easy fix. I won’t say that “Time heals all wounds” because frankly that is the biggest load of BS ever written. Whoever coined that phrase should be slapped; they never met this Narcissist. NC = (No Contact) was and still is the BEST thing, EVER. No Contact is simply that. No Contact! No phone calls, no text messages, no emails, no notes, no letters, no post-it notes, no memos, no waves, no polite greetings…Nothing. Pretend Guy can’t answer the phone, email, write or wave. Real guy could do those things if he was human or cared, but he’s not and he doesn’t. And no, you can’t have a friend /relative /acquaintance get a message to him. Don’t play that game. The N is far better at playing games than you are. And, you must ask yourself….Do you really want to play his sick games any longer? Do you want to be the game piece in his never-ending board game of Devalue and Discard? No, I didn’t think that you did, it is just that we have been on the park merry-go-round for so long, we don’t know how to make the ride stop. I know for people with children by a Narcissistic partner, NC is difficult, but still necessary, and hopefully communication can be carried out for the most part through your attorney or solicitor. After I had grieved for a time, his name, the stories and his stupid clichés were banned from my office. We declared it a “N – Free Zone.” The office has been sanitized for my protection. Can I look back on those two years we were “friends” and laugh? No. I’ll let you know if, and when, that ever happens. Are you wondering about that envelope that found its way to my mail box? Don’t worry – I didn’t open it and I didn’t deliver it to him. I dropped it in the outgoing mail bag. Just like Karma… IT will find him, eventually. http://thepsychopath.freeforums.org cared enough to save Alex’s posts. I hope you are well and safe. Thank you for sharing your wisdom with the world. I am speaking for ALL of us when I say that we are grateful. So – here you are. The usher didn’t help you to your seat, you found it yourself. You have your play bill, your cell phone is off, but you are NOT ready for this performance. You didn’t purchase tickets to this event; you didn’t even order season passes but once again you have been subjected to another performance of Devalue and Discard by the Narcissist. Right now you are raw with emotions. Your thoughts may not even be clear enough at this point to be glad that the relationship is over. You may be thinking of ways to “fix” the situation, to “fix” him…you may be ready to go groveling back to him. Please don’t do it. It will only give him more opportunities to devalue you. You will make it easy for him, requiring little or no energy on his part. I speak from experience, because I tried it. That’s why I will say again, “Don’t do it.” The sadistic delight you will see on the Narcissist’s face will be evident while you try to make everything right…..because everything about the Narcissist is wrong. You may not even know that your friend, boy friend, girl friend…fill in the blank…was an N. You may think that the abuse you suffered was warranted; that you did something to deserve this. But trust me, you didn’t. You didn’t deserve to have the stage curtain dropped on you. You may not have a clue what Narcissistic Personality Disorder is…but you will. Believe me, you will…and when that light bulb goes off in your head, so many things are going to start falling into place. Soon, when you go on line and start doing research, so many things are going to make sense…as much sense as an emotional disturbed Narcissist can make. You have started start to move on, making connections with others who have been through similar circumstances. Those connections will be a blessing to you. Trust me. You’ve figured out what the N is…and more importantly, what he isn’t…and you have begun the slow healing process. You cautiously believe that he is gone from your life for good. Reaching this point of acceptance has taken a long time. Some days, you might even feel “normal.” Then, out of the blue….or more appropriately black….here he comes again…and you are hit with his one two punch of D & D.
I call this “Narcissistic Curtain Calls.” Just when you think he’s gone he appears at the side of the stage to take another bow….or give another blow to your fragile self esteem. “Hoovering” is a similar phrase, but when he’s “Hoovering” he’s trying to get back into your favor, for a time. Don’t worry, his nice behavior won’t last long. The N befriends his target, his victim…usually female. Sometimes the N has an adequate amount of supply, so he may have many little minor sources of supply….sources that he may choose at some point in time to cultivate into major supply. Sometimes the N comes on slowly, maybe this is so we will be less suspicious of his true motives. Maybe he actually learned from previous “relationships” that swooping in on his quarry gets him supply for a much shorter period of time. Or, gets him nothing at all. Scaring off his victims before they are under his ‘spell’ means more work for the N. And, if there’s one thing that tires out the N, it’s having to cultivate fresh, new Narcissistic Supply. He has to be on his best behavior, keeping his mask securely fastened…”Ho-Hum” this wears him out. I don’t know if anyone has ever figured out why the N starts cultivating his ‘minor’ supply into a major, perhaps his main source of supply. I know in my case, the N had suffered the blow of losing, granted temporarily, his main source of narcissistic supply and comfort…I was in the wrong place at the right time. Or – perhaps that should be worded…I was in the wrong place at the wrong time…..
We know that generally speaking, it is the N who does the abandoning, not the supply/victim. The N must be careful in the beginning of the ‘relationship’ to have you reeled in before begining the D&D. In the beginning the N will make you feel like you are the best thing since sliced bread…with or without the peanut butter. I would hate to see/or to have experienced what would have happened if I had been the one to abandon the Narcissist. The N idealizes his victim…for a while. He brings out the best in his target. He mirrors our good qualities back to us…I think the reason we think he is so fabulous…is because he is mirroring us! We are seeing ourselves…Hey, what’s not to like? The qualities we are seeing displayed…are us! These character traits are sadly lacking in the N.
I admit to my fragility. I wonder…..What was it about me, at that moment in time that drew the Narcissist to me? Why did he target me? What was it that made me so very vulnerable to his friendship? How can I be sure to never do it again? He is effusively complimentary of us at times. He may have started to compliment and degrade us in the same sentence. These underhanded verbal jabs can leave us confused…as confusing as the gaslighting. As time goes on, the compliments are less frequent. The verbal put downs, the sarcastic comments and simply the body language, make us feel that we have done something horribly wrong to fall from grace in the eyes of The N.
I’d like to know why we I valued the opinion of the N?… Why did I care about falling from grace in the eyes of one so evil?….Why did I care so much that I tormented myself into to thinking that it was me and not him? Falling from the “grace” of the Narcissist was THE BEST thing that could have happened to ME! The abuse continues. As is the N’s protocol, he might throw his target a ‘bone.” He might give us a ‘moment of value’ and maybe we’ll even get a glimpse of “Pretend Guy” (thanks again Angel Fire). He is now constantly devaluing his victim…. …..as was my experience, this went on as long as it amused him. It was sadistic… he devalued me time after time. When I had been drained dry…it was time for the final Discard. Discard…..that word reminds me of playing a card game with friends…a pleasant evening, and you have an opportunity to discard. Perhaps without even much thought, you throw those cards you no longer want into the pile…..the ones that don’t give you a ‘good hand’….without another thought. After the Discard comes the feelings of being worthless, when it is the N who is worthless. We are weak and fragile, but we will call upon an inner strength that we didn’t know we had. The N is a weak and fragile toddler, with no ability to grow any further. It is while you are feeling these things…weak, fragile, confused…that the ‘curtain calls’ start. At least they did for me. Here you are trying to pull yourself together. You are trying to fix the broken pieces of your self esteem and your life; when he returns to the stage. You think, maybe things will be okay… Maybe he will let me apologize, maybe he will tell me what it was that I did wrong. Once again-assuming all the blame…he adores that, since he is better than everyone and anything else. We are mistaken, he isn’t back for reconciliation, he’s back to twist the knife again. The phrase Curtain Calls seems to be very appropriate for the Narcissist….with their flair for the dramatic, their mask and costuming…a wolf in sheep’s clothing…their repeated appearances in your life…I thought it was something I came up with on my own until I read a post by Dr. Sam Vankin….. The house is dark….the Broadway tour is over…. I fervently hope there will not be a revival.